In our city on May 9 and 10 this year will be held sport and tourist event that is the result of many years of intensive cooperation between Friendly Cities – a Californian Monterey and Dubrovnik. The first Dubrovnik international half marathon goes beyond ‘just a race’, so in addition to the half marathon race includes Dubrovnik city walls race, a Humanitarian race of citizens, and children’s race. Until the beginning of the Dubrovnik International, Half Marathon separates us few more days, and we have about 400 registered runners from all over the world. Also, some citizens showed interest in participating in races and through the Dubrovnik Run school they were diligently preparing in order to run successfully out their first half marathon. The initiative of organizing the First International Half Marathon was initiated by City of Dubrovnik in collaboration with the Dubrovnik Sports Federation, Athletic Club ‘Dubrovnik’, the Dubrovnik Tourist Board and partners in the Americas (the agency ‘Next Events Production’). This event, besides competition part, at the same time promote running as a healthy way of life, and all in the environment of Dubrovnik historical attractions. Expo will be held on the May 9th (Saturday 2015 in the area of the Hotel Valamar from 9am to 7pm were together with exhibition and sales area will be area where runners will retrieve their numbers and gift packages. The race will take place on May 9th 2015 at 10am and will begin from main street ‘Stradun’ in front of Caffe bar ‘Cele’, up and around the walls and back to the Stradun to finish at the same place in front of ‘Cele’. The race is limited to 50 participants. Kid’s Day will take place on Saturday May 9th, after City Walls race in cooperation with Dubrovnik kindergartens. The event will be attended by the children of preschool age. Start and finish is at Stradun. Start is at 10am on Sunday, May 10th 2015. Track length is 21 097,5 meters, and it is a circular character. It starts from main street Stradun in front of Caffe bar ‘Cele’ under the Tower (Belfry) to the gate of the Ploce, and continues through Pile, Boninovo, Vukovarska street, Coast Ivana Pavla II, Batakovina, Sustjepan, through Cajkovica to the Komolac where is the turnstile. Then back the same route to the intersection of Vukovarska and the streets of Nikola Tesla which draws behind the Minceta department store, and then continues the Street Ante Starcevic over Cingrija, Street Dubrovackih branitelja on the Pile and through the Pile gate on Stradun toward the goal.. 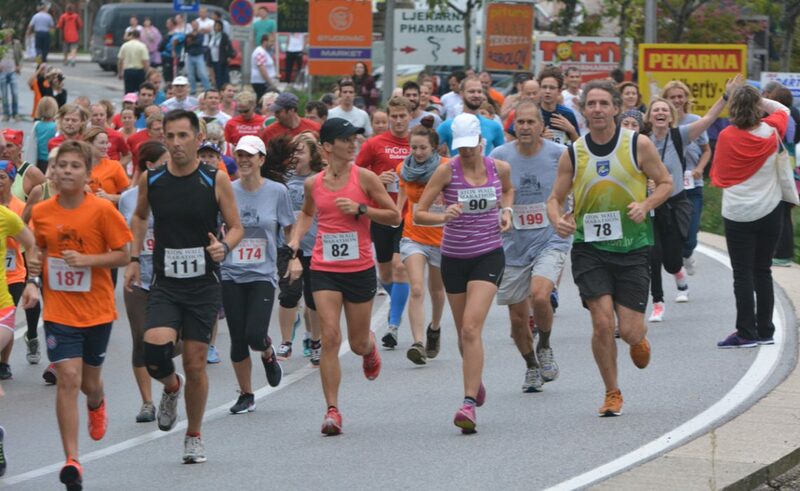 The race was organized as part of the half marathon and has a humanitarian character with the entrance fee of 50 kuna. All proceeds will be donated for humanitarian purposes.